The UK High Court has been handing out website blocking injunctions regularly in recent months but despite the supposed transparency of the legal system, obtaining copies of the injunctions has proved impossible. Now the Open Rights Group is putting pressure on the Court in the hope of being able to publish the content of injunctions for open analysis. There was a time that UK citizens could presume that all but the most evil of websites would be accessible via their Internet connections, but times are changing. 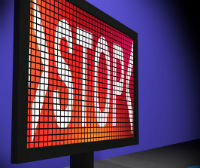 Following requests to the High Court by the music and movie industries, BitTorrent, Usenet and streaming indexes are now being blocked, rendered entirely inaccessible by the nation’s six largest service providers. Although controversial, the reasons why sites such as The Pirate Bay, KickassTorrents and Movie2K are being blocked are now clear. Once ISPs have “actual knowledge” that their services are being used by their subscribers to infringe copyright, they are put on notice by the High Court to block the sites in question. However, it has become somewhat tiresome to learn that when injunctions are handed down by the High Court to ISPs, they appear to fall into some kind of informational black hole – fitting perhaps for a document authorizing censorship. To try and find out what these injunctions contain TorrentFreak previously spoke with one of the leading ISPs who assured us that the documents aren’t actually secret. However, when we requested a copy we were told that they couldn’t send us one and we would have to go to the Court instead. No luck there – and the BPI weren’t exactly forthcoming either. Now the Open Rights Group is reporting that it too has been trying to get to the bottom of the website injunction blackout. ORG’s Jim Killock says everyone could benefit from their publication. “Accountability, fewer errors and less confusion about what is happening should be the result,” he says. Killock reveals that ORG has also asked ISPs to cooperate but they too have been met with reluctance. “Possibly [the ISPs] feel that copyright owners asking for the orders may find publication by an ISP provocative. This means we are obliged to ask the courts for the documents, in order that we can publish and analyse their contents,” he explains. But ORG found that the courts didn’t want to help either, turning down the group’s requests to view the injunctions. “They have done this because, they say, ‘judgement has not been entered’ or ‘service has not been acknowledged’. At present the rules governing access to court documents only permit access to these orders as of right once the litigation has finished,” Killock explains. With this in mind, ORG have applied to have a procedural judge review the group’s requests in order to gain access, at least in the first instance, to the injunctions issued to the ISPs against Fenopy, H33t and KickassTorrents. “We hope to persuade the Master that a section 97A blocking injunction should be treated like any final judgment in court and be available to the public as of right. If we cannot do that, we will ask the Master’s permission to have access to the orders,” Killock concludes. ORG is also maintaining 451unavailable.org, a site dedicated to tracking UK blocking requests. It’s currently a little out of date in respect of all injunctions issued so far, but it’s hoped that ORG will soon be able to publish information obtained from the courts to this resource. c There are 128 comments. Add yours?